A LOT has happened since the last visit. I will share most of that through photos at the bottom. Week #17 of chemo went “normally” – five days / four nights in the hospital. She was supposed to start Tuesday but because of mouth sores, wasn’t able to start until Thursday. It was a typical round and we came home on Monday (Labor Day). They don’t administer three methotrexate treatments in a row. So she had to take a two-week break. The blessing is, her two weeks were full of adventures (more on that in the photos below). 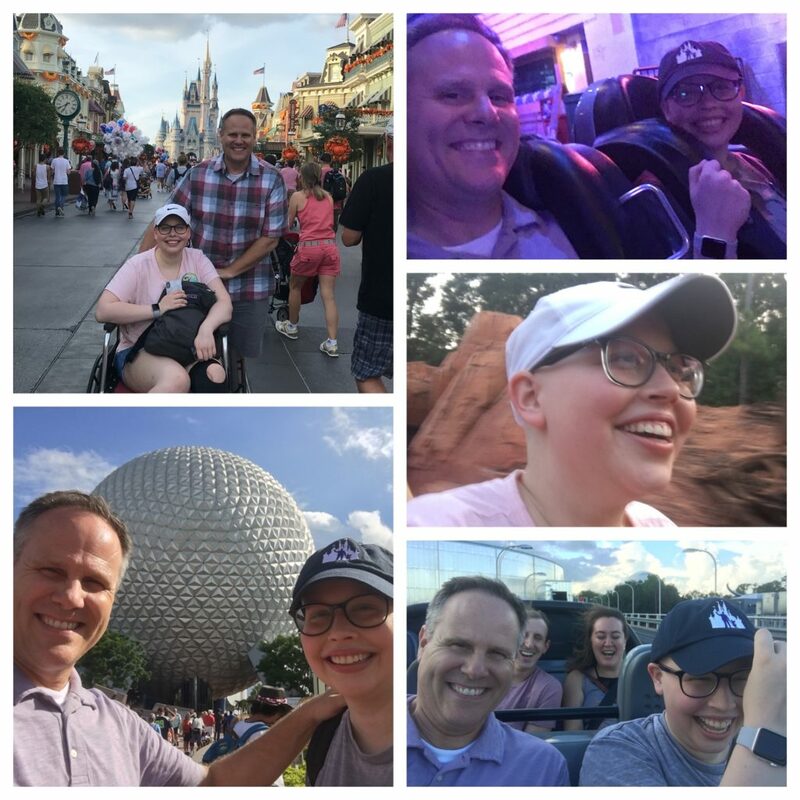 Two days after getting out of the hospital, Emily flew to Orlando to spend a couple of days with me. Two nights in a row, we were able to go to one of the Disney parks! That was a huge highlight. Although Emily was tired, we had a wheelchair and were able to ride a lot of rides. We went to Magic Kingdom the first night. The second night we visited both Epcot Center and Hollywood Studios. 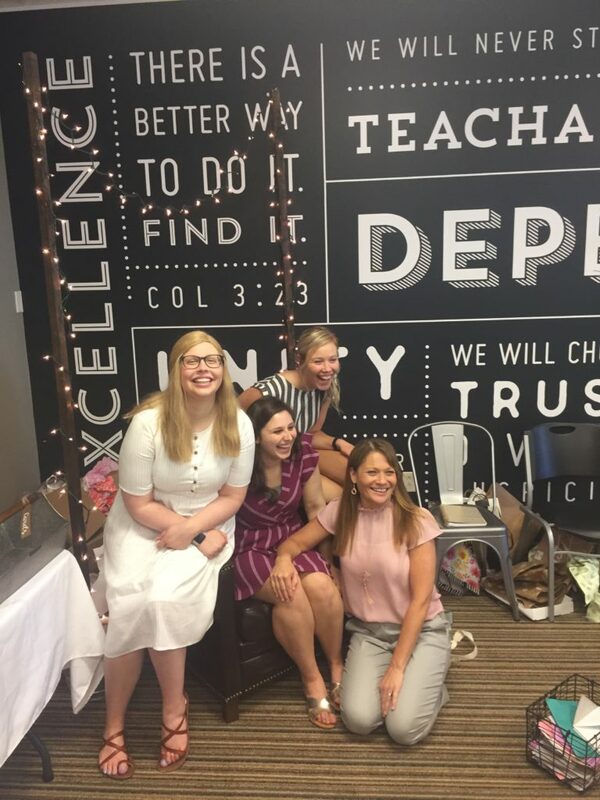 We got back from Disney on Friday morning and on Tuesday, Emily and Abby began driving up to Rochester, NY for Ali’s bridal shower. 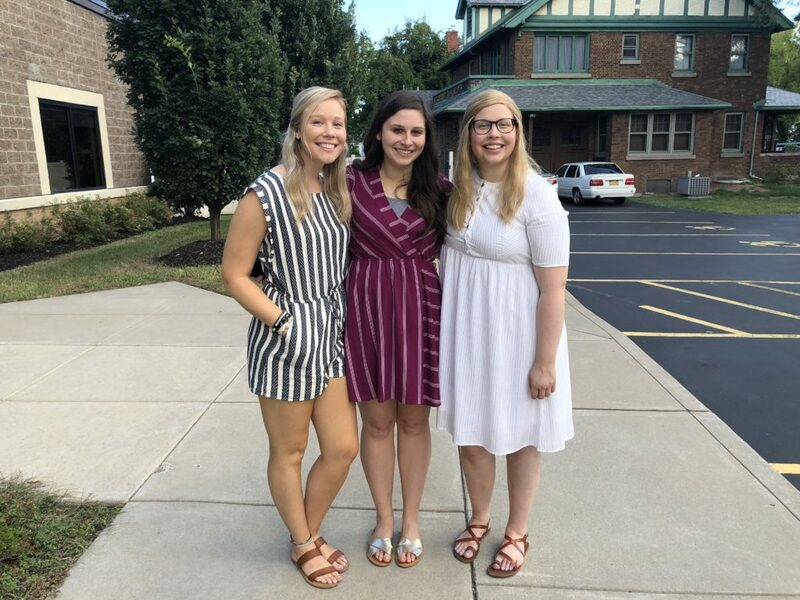 Abby has been living with us for the summer – so she and Emily took 3 days to drive up to Rochester. Sue, Morgan, and Emily all met in Rochester (Morgan drove up from Liberty) for Ali’s shower. 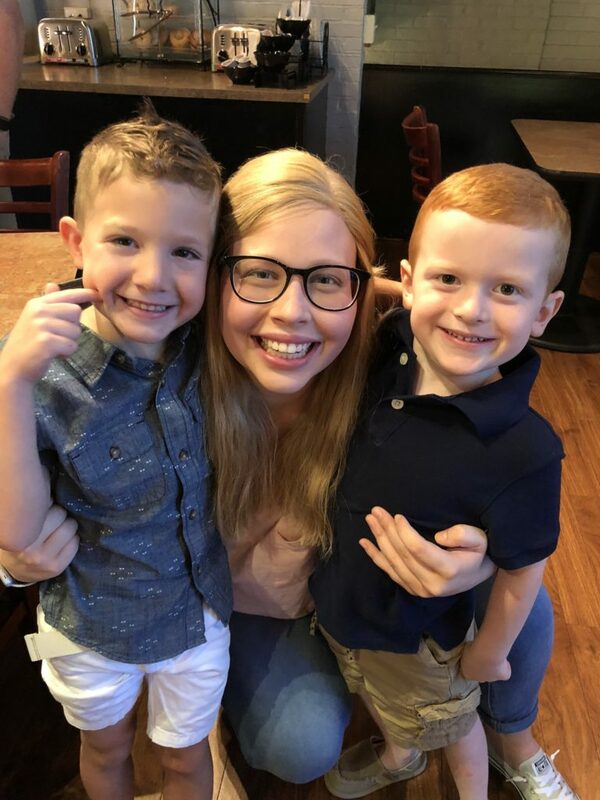 On Monday evening, Sue and Emily flew back to Houston and Tuesday morning (this morning), Emily had appointments to be sure her blood counts were good enough to start chemo. So tonight is when it begins. Emily is about to spend her last four nights in the hospital! Even with all of this happening, Emily has started her college online classes. She is taking four classes right now. Today (9/18) begins her final week of chemo! It is another methotrexate treatment, which means she will feel really sick tomorrow (Wednesday), but will slowly begin feeling better on Thursday. And, if things stay on schedule, we will head home on Saturday. Since the very beginning, we have been looking forward to Emily’s bell ringing. It is a tradition at the end of your final chemo treatment. That should happen Saturday. If you are in the Houston area and want to come, let me know. Just email me ([email protected]) and I will give you details. We’d love to have some friends here to celebrate with us. Next week they will take the post-chemo scans (chest CT and bone scan). This begins her scans that will happen every three months for the next two years. Basically, it is to find out if the chemo killed the cancer that spread through her body or if it simply has been holding it back. We asked you to pray that Emly would feel good enough to go to Orlando with me and be able to enjoy Disney, and she did. We were especially concerned about mouth sores, and she had only two “normal” mouth sores. She said they were normal mouth sores people get, not chemo mouth sores. We were so thankful. It was the first time Emily left Houston and did something “fun” since shortly after being diagnosed with cancer. We asked you to pray that Emily would feel good enough to travel to Rochester and she felt great! Praise the Lord! We asked you to pray that Emly would get out from her previous chemo on Monday (September 3). And she did get out Monday. We thank the Lord! We asked you to pray that Emily would be able to start her final chemo round on September 18. And she is starting tonight (Sept 18)! Praise the Lord! We asked you to pray that Emily will be strong and take heart as she hopes in the LORD (Psalm 31:24). We see good evidence of her doing that and are thankful. 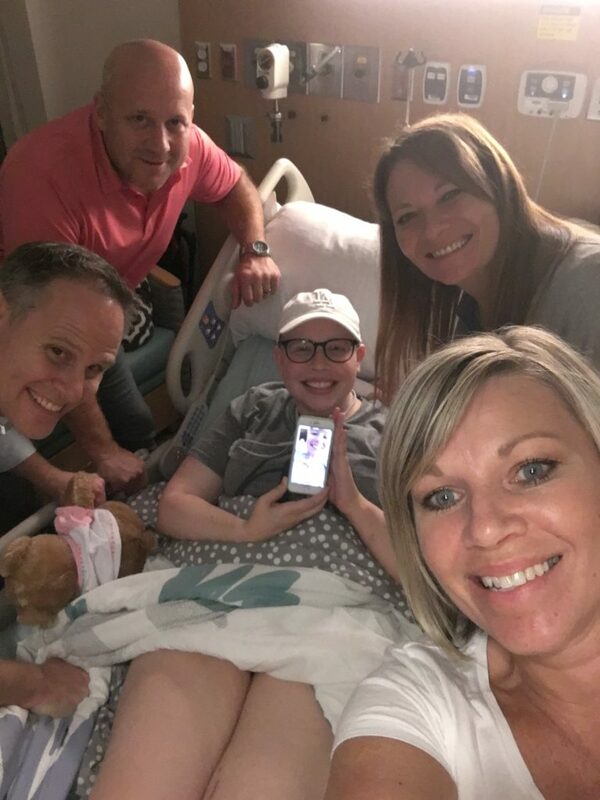 That God would be glorified in and through Emily and her Osteosarcoma, and that we all would submit to His glory being our priority – whether in life or death and whether the news is good or bad. That the cancer has not spread at all. As we come to the close of chemo, pray that all of us would keep our hope in the Lord. There will be nervousness every three months as we await the scans. Pray that our faith grows through the waiting. Pray that Emily can get out of the hospital on Saturday and that she can ring the bell celebrating her last chemo round. Pray that Emily would be able to walk down the aisle for Ali’s wedding without a limp (October 27). Pray that Emily’s scans would come out clear next week. 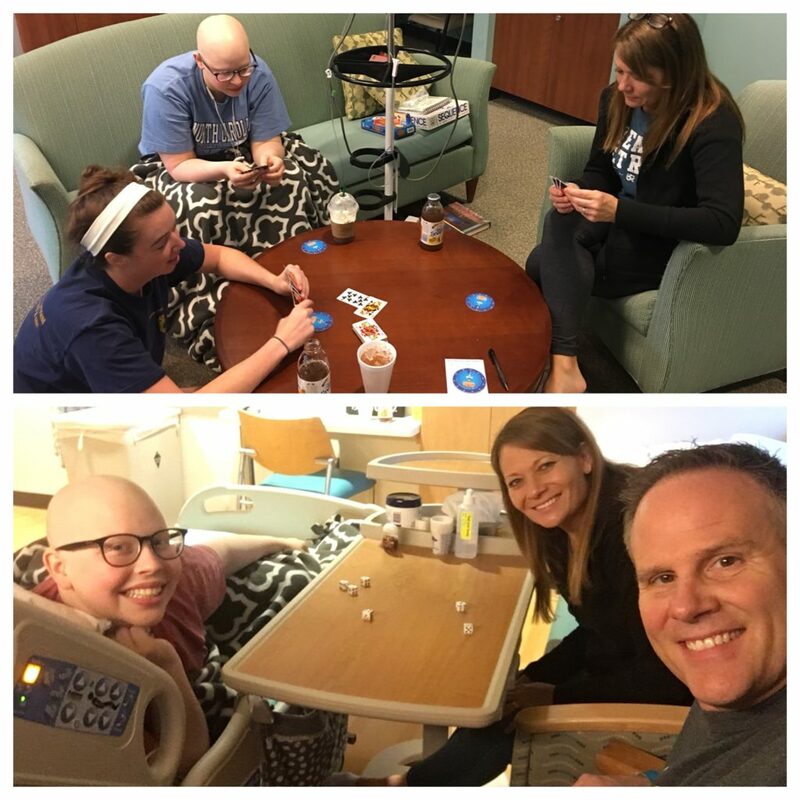 As Emily begins to feel better in the hospital and we wait for her numbers to clear, we were able to play some games. When her numbers cleared on Monday morning to be discharged, one piece of bad news was she needed a transfusion. 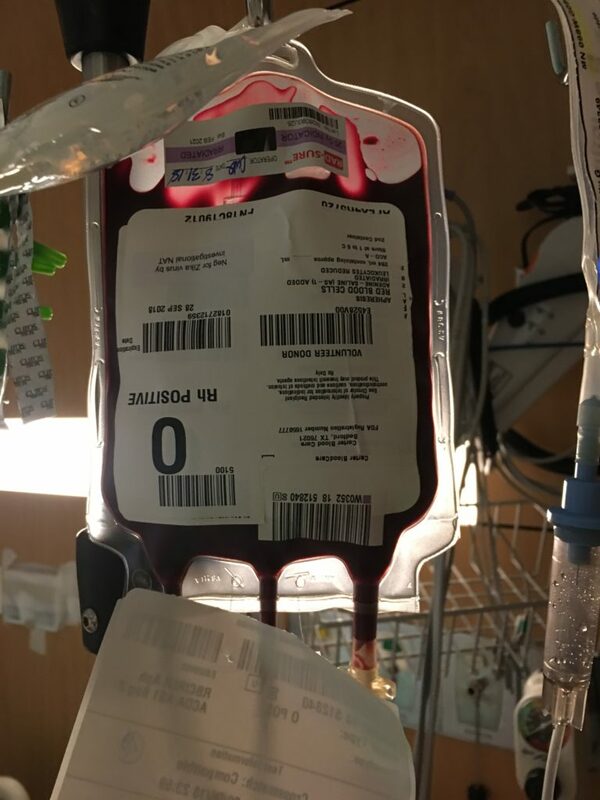 So we had to stick around an extra four hours for Emily to get blood. The day after her chemo ended, I had to head to Florida for a meeting. I had the evening free so I drove to see some old friends, MIrko and Pam Roethlisberger. 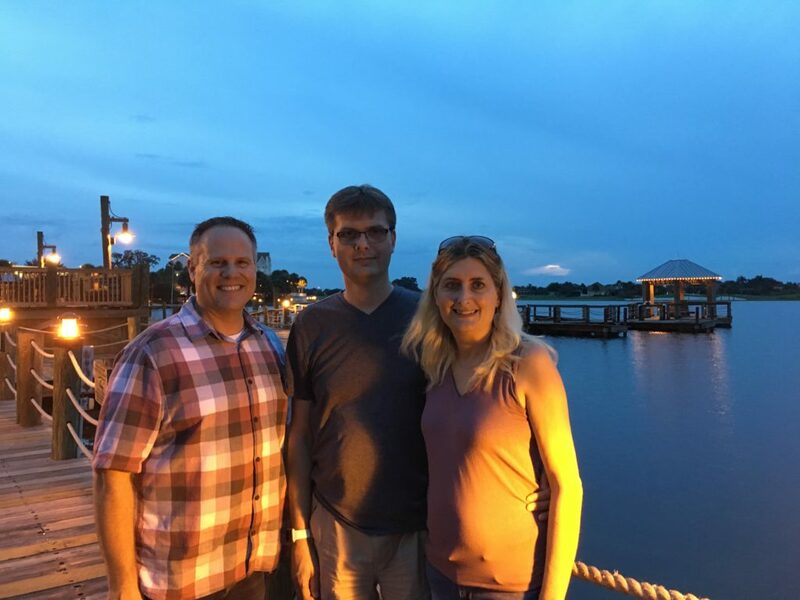 Mirko has been battling cancer this year also – so it was good to see them, pray with them, and enjoy an evening hanging out with old friends. 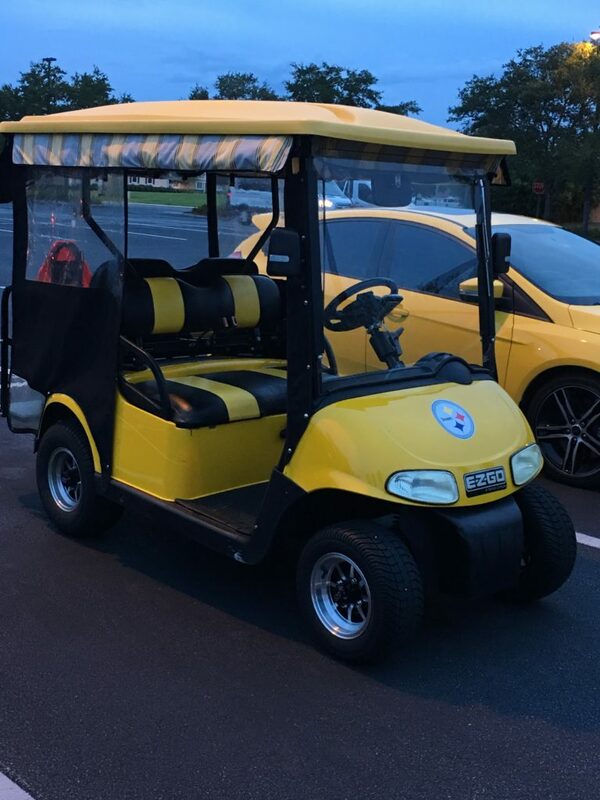 They live near The Villages (retirement area in Florida) and it seems everyone owns a golf cart – and they do too. So of course, they had their’s designed with the Steelers logo. We used it to drive around the area, see Mirko’s office and check out The Villages. It was great to see them. The next morning, Emily flew to Orlando. She hung out at the hotel during the day, but each night, we headed into the parks to enjoy some rides. Although she is constantly joyful, the laughter I heard was a sweet sound to my ears. 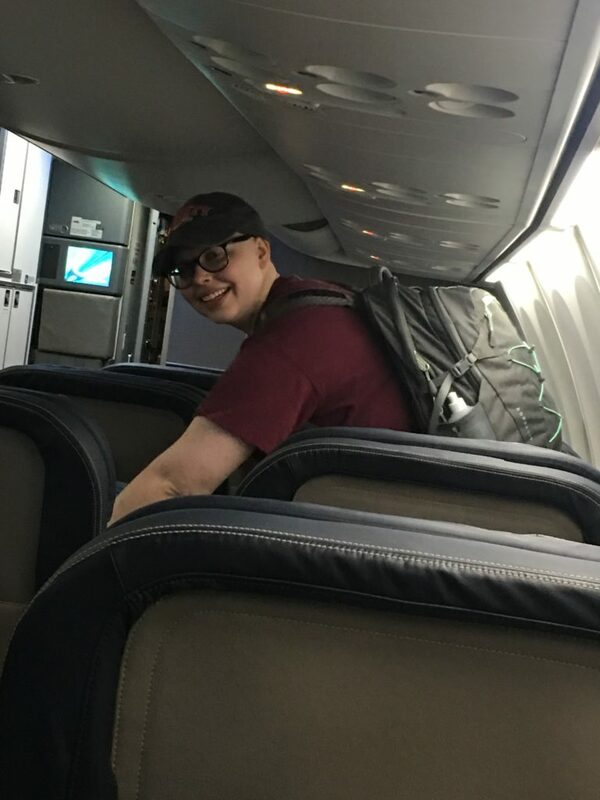 On our flight from Orlando to Houston, I was given an upgrade to First Class – so I let Emily enjoy some luxuries of air travel and I took her seat in coach. She liked getting spoiled in First Class. 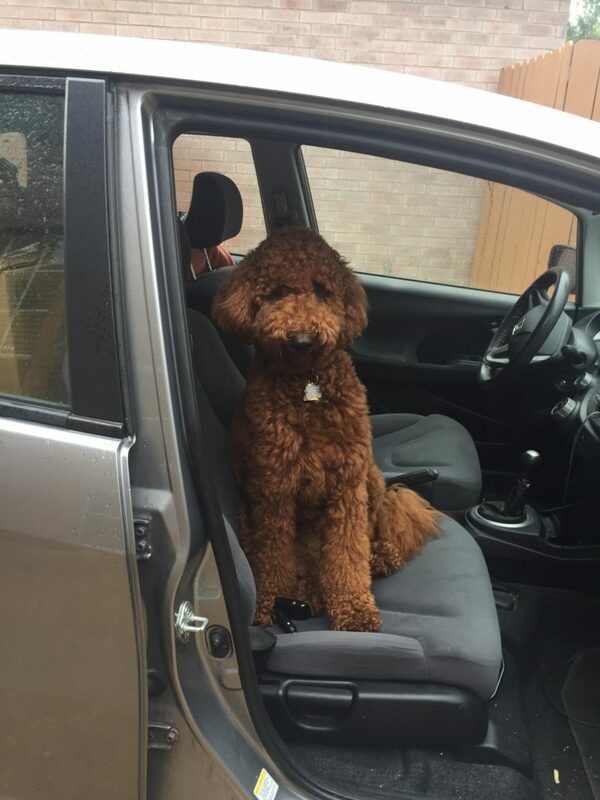 When it was time to pack the car for Abby and Emily to leave for Rochester, Daisy decided she wanted to go along. Abby and Emily spent the first night in a hotel in Memphis. 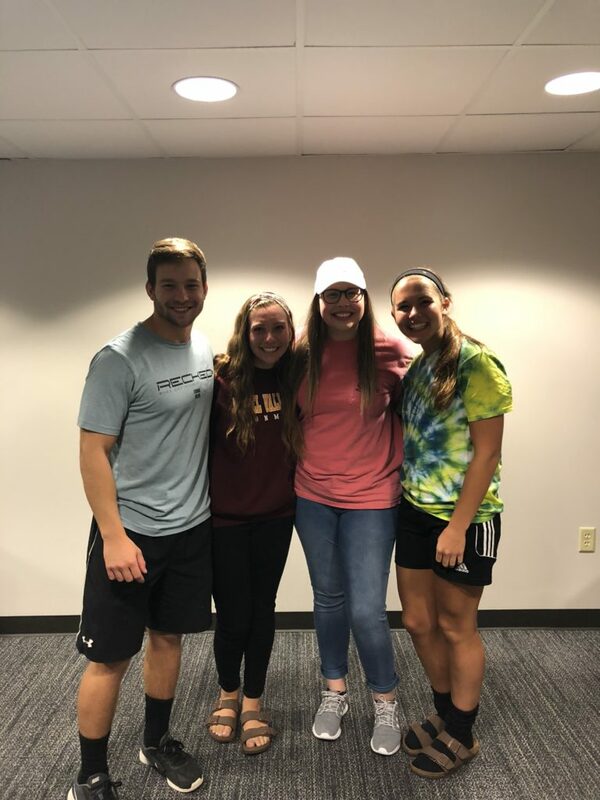 On the second night, they stopped at Cedarville to surprise some old friends from Rochester. 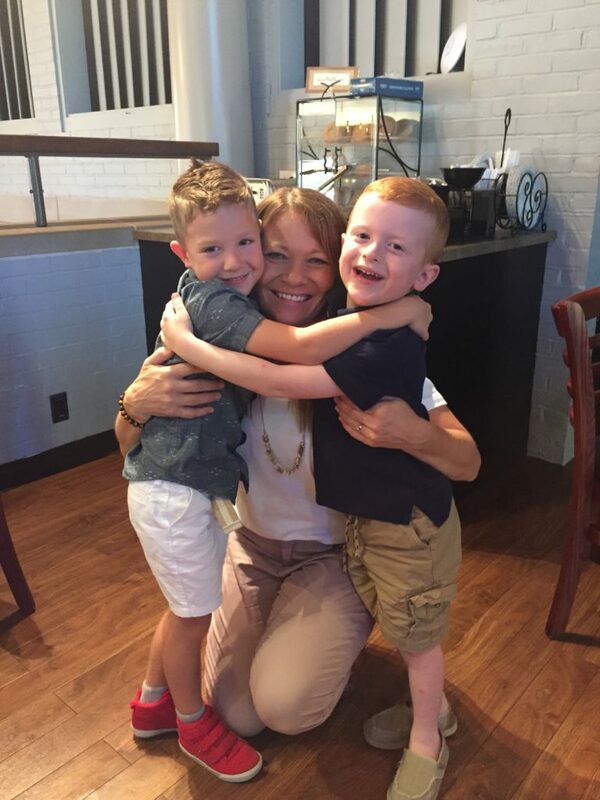 On Sunday, Sue and Emily were able to see the boys Sue used to babysit. Sue still misses her boys. It was great for Sue to see both families at church on Sunday. Although Allie doesn’t work in this wing anymore, she regularly stops by to see Emily when she hears she has checked into the hospital. 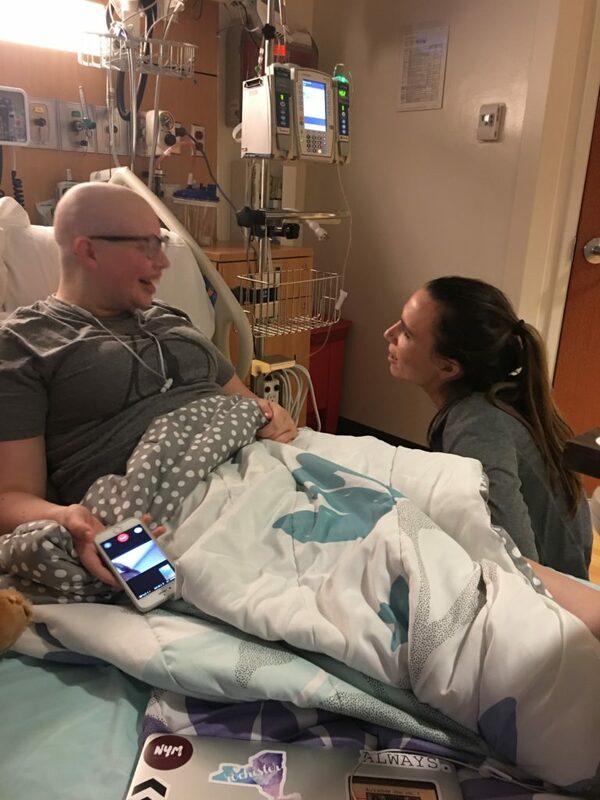 Allie provided such comfort and care for Emily (and us) in the early rounds of chemo. We will always be thankful for her. Sue’s sister (Heidi) and brother-in-law (Nick) decided to come down and go through the last chemo treatment with us. (Morgan is FaceTiming with us too.) It will be great to have them in town! I tell people all the time that cancer treatments are like a parentheses in a paragraph of your life story and at the end of the parentheses, the story goes on. Can’t wait to see “the rest of the story”!!! It was a blessing to pray with you through the parentheses. So glad to hear that this is her last week, David. Been following along and praying for you all. Your leading and Your love down a very, very difficult trail to where victory over the evil cancer is in sight. I pray that You will allow this last chemo treatment will go well with very little reaction to what it does in her body that any cancer cells hiding will be sought out and killed even if they are just in any stage of formation … or even “thinking” about appearing! 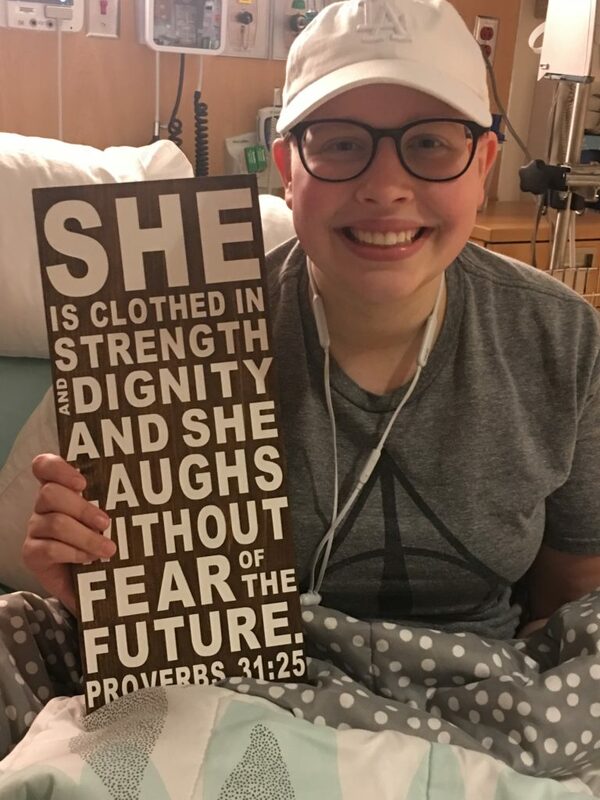 I’m sure this is an appropriate way that these ugly cells try to destroy beautiful young women like Emily and the many who are or will face the disturbing diagnosis of the evil cancer, but I know You are greater than anything, including disease! This family and all of us who have placed our trust in Your Hands for Emily have been blessed to see the victories she’s had and the way she has grown in her faith and shared her faith! I ask a special, miraculous blessing of long life for her with all her desires in You fulfilled by Your mercy and grace toward her! Bless her family, friends, medical personnel, and all those who don’t even know her but have prayed for her with the knowledge that we have over when You have asked us to bring our requests to Your Throne of Grace where we may find mercy in time to help those for whom we pray! We pray because You ask us to, and You promise to give what is best when we ask because You are our loving Father Who is always conforming is to the very image of Your Son, Jesus, for it is in His magnificent Name we pray, Amen! With much love! YAY, YAY, YAY!!!!! Thank you for sharing this journey and the inspiration Emily has been as her faith and trust in her Lord has sustained her! !